Begun at the Fitzwilliam Museum in Cambridge, the exhibition Degas: A Passion for Perfection continues at the Denver Art Museum. 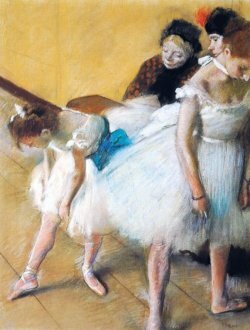 Everlasting dissatisfied, has Degas managed to reach perfection? The scenery of the exhibition is settled. It invites us to discover all the originality of the painter but also his ambiguity. Complexity of the man, a Parisian dandy who runs the racecourses and rubs the silver horse society which frequents them. Also attracted by the world of opera where he likely founded the same society with identical values. Was this passion for perfection so obvious to make it the title of the exhibition? Quoting Rouart, Jane Munro, curator of paintings and drawings at the Fitzwilliam Museum in Cambridge and curator of the exhibition, is nevertheless asking the question, which is expressed by the different title she gives to her introduction: "Degas: A Passion for Perfection?" A passion? Certainly. No doubt Degas seemed obsessed with the ultimate goal of his art. Still unsatisfied, he continually questioned his works, reworking them, paintings, pastels, drawings and sculptures. A dissatisfaction that did not escape his entourage and his friends: Fantin-Latour, Edmond de Goncourt and Otto Scholderer who described him as everlasting dissatisfied. Many other aspects are discussed in the catalogue pages of the exhibition. We will remember the important activity of the art market in the UK at this time strongly marked by commercial assets in London and Glasgow. Passionate collectors such as William Burrell and John M. Keynes, who forged magnificent public and private collections of which Richard Kendall speaks in his article, will not be forgotten. The exhibition obviously could not avoid addressing recurring themes at Degas: copies of old masters, dancers, nudes, horses and horseraces. But we find, happy surprise! landscapes including those executed in Italy. The last chapter is devoted to sculpture. Victoria Avery's article points out that the Fitzwilliam Museum holds the only original Degas sculptures in Britain executed in the 1880s. In her article "The Loss of Degas's sculpture during her life time", Victoria Avery looks back on the unhappy destiny of some sculptures that broke or disintegrated for technical reasons during the lifetime of Degas. Does the exhibition answer all Degas's questions? Has his passion for perfection really been satisfied? It would obviously be up to the artist to answer, but its formulation is here already of some importance. It is surprising, however, that imperfections of some drawings of dancers and nudes but also of horses such as in the Semiramis of Orsay Museum are evident. Imperfections that he noticed and underlined with annotations to correct them. 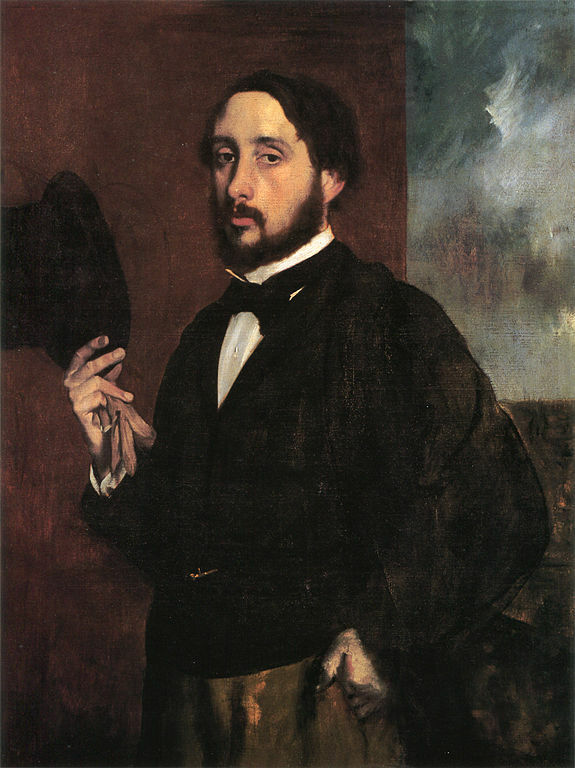 Degas: A Passion for Perfection. An exhibition that will certainly mark the history of Degas by the quality of the works on display and by the relevant articles in its catalogue.